I Can Only Imagine is such a popular song, and I have heard it a million times since it first came out. I was excited to read and review this children's book based on the song and the concept shared in it. 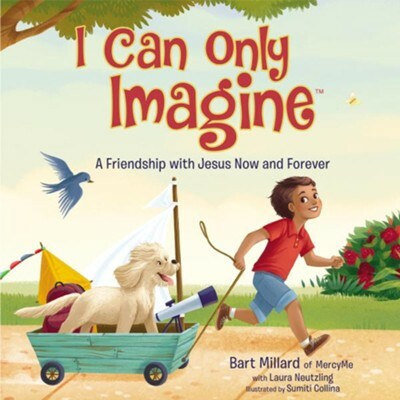 The book, I Can Only Imagine, shares the imaginings of a child as they think about Heaven and all that it might be. The pictures in this book are colorful and fun to study. They are a bit realistic and I think that children will enjoy looking at them. This would be a good gift for children of those who love MercyMe. This could be given to anyone from babies to about age six or seven. The story simply questions what Heaven might be, it doesn't make up things about it. The text is fun to read. There is not anything in particular that I didn't like. Overall, I think this is a special book. I give I Can Only Imagine 4 out of 5 stars.